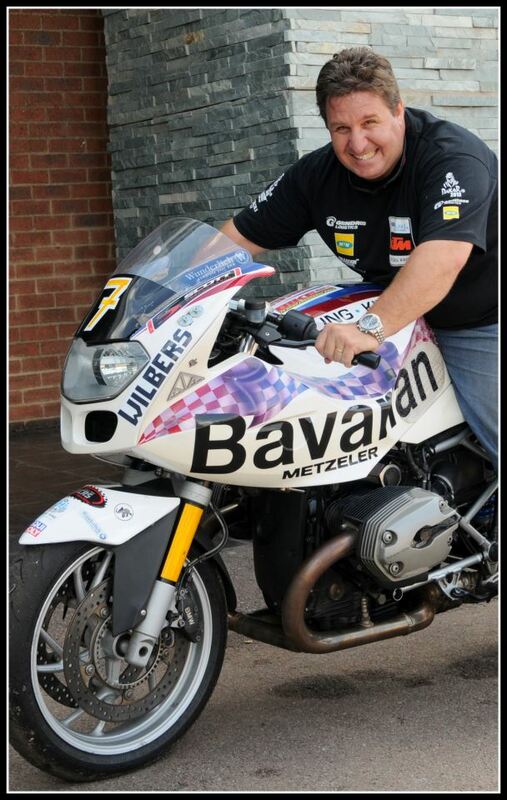 Start 25. marts 2013 - 7 motorcycles - 6000 km in 15 days! 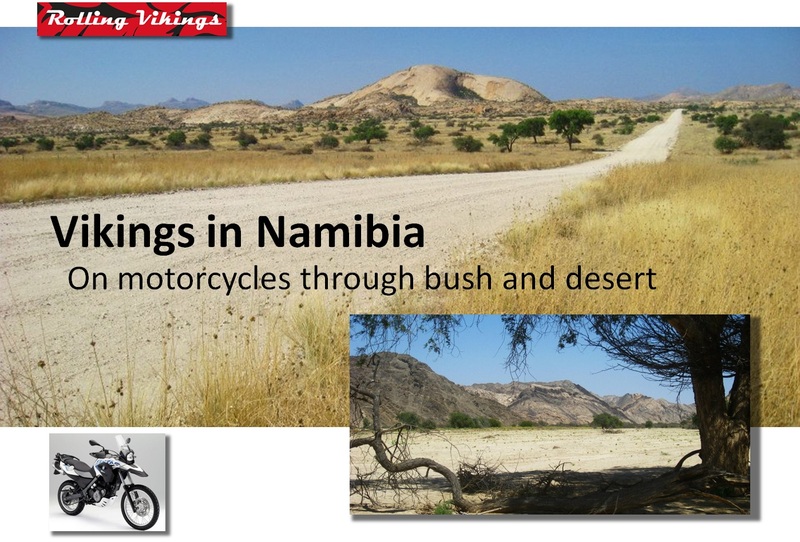 Preparations for our Vikings in Namibia tour have now started, and I'm thrilled like a little child looking forward to something fantastic - something out of the ordinary. 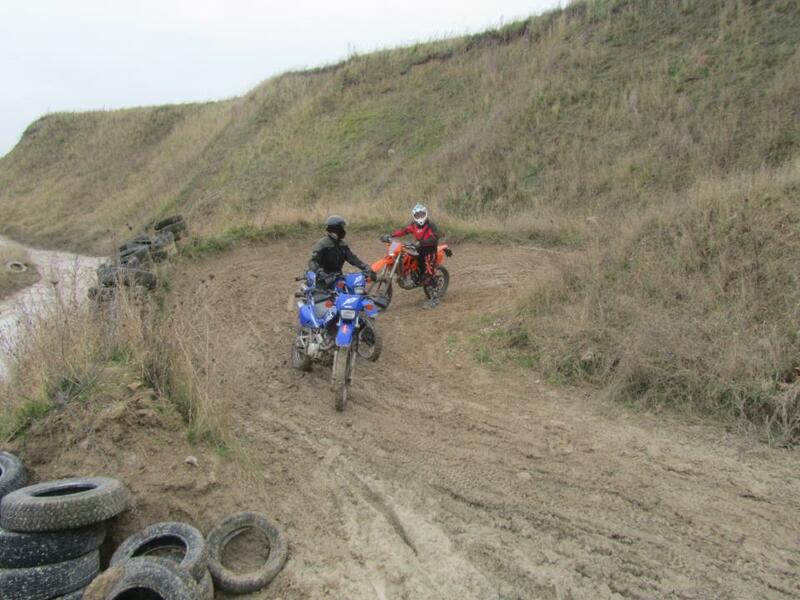 Airline tickets have been bought and planning as well as training is ongoing. 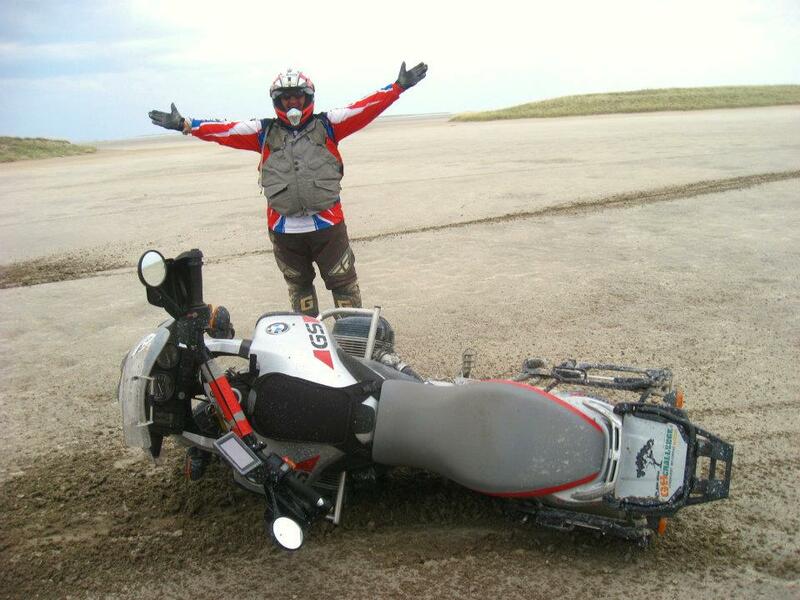 We will be touring 5-6000 km on offroad motorcycles in Namiba on roads like the one shown above and in terrain where roads are not available. 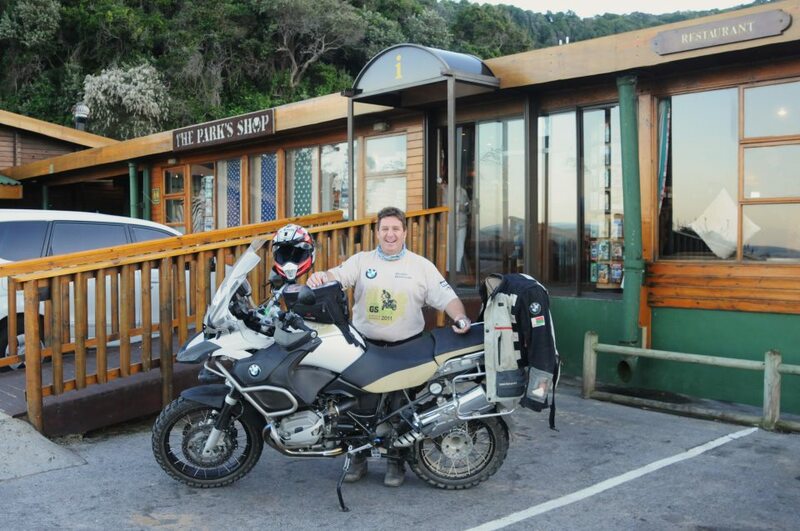 From Denmark we fly to Pretoria in South Africa and from there we drive to the vest coast of Namibia. Turning north we drive along the coast to the northern part of the country and from there we go through the Kalahari desert and head south east, so that we after 15 days and 5-6000 km will be back in Pretoria. Most of the nights we sleep in the bush having only what we are able to carry on the bikes, as there will be no accompaning car. It is said that the 'cats' in Africa eat you wether you carry helmet and body armor or not. But we do not expect to come into areas with lions. There are other dangerous animals though. The black mamba with its kiss of death is fortunately very seldom a problem. The more frequent Puff Adder also has a deadly bite, so I guess cross boots makes sense. Bruno Gila will be our guide and mentor. ... and there will be many other interesting lessons! The vikings - having very different skill level - are training in Denmark before the tour. 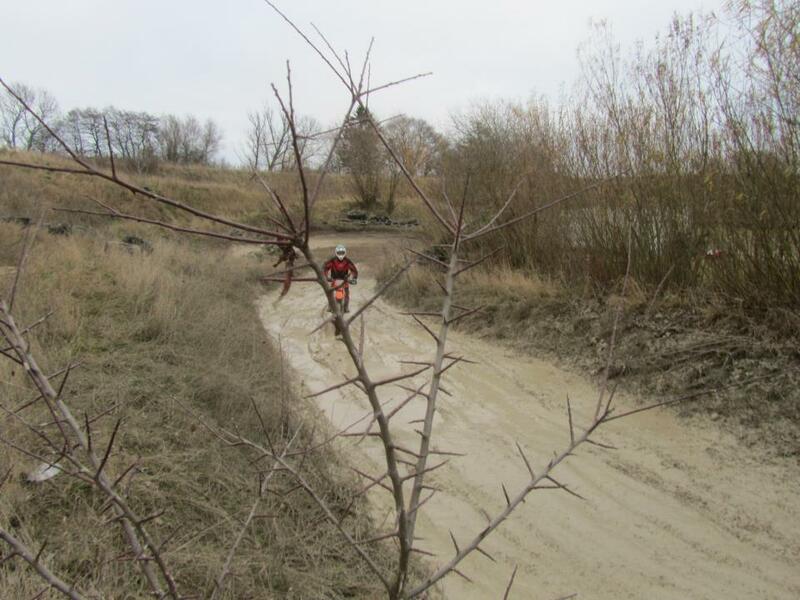 The Danish winter has offered cold and rainy weather with muddy and slippery terrain. Namibia autum is expectedly dry, hot and sandy. 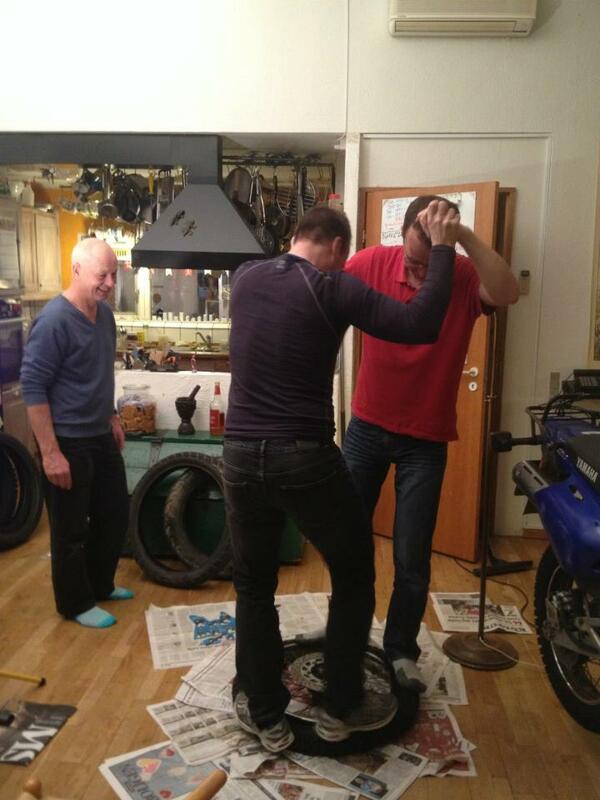 Changeing dirtbike tires in Toni and Tore's living room has been part of the preparation exersizes. Here below Benny is watching how Tore and Soeren is performing the ritual old tire dance. 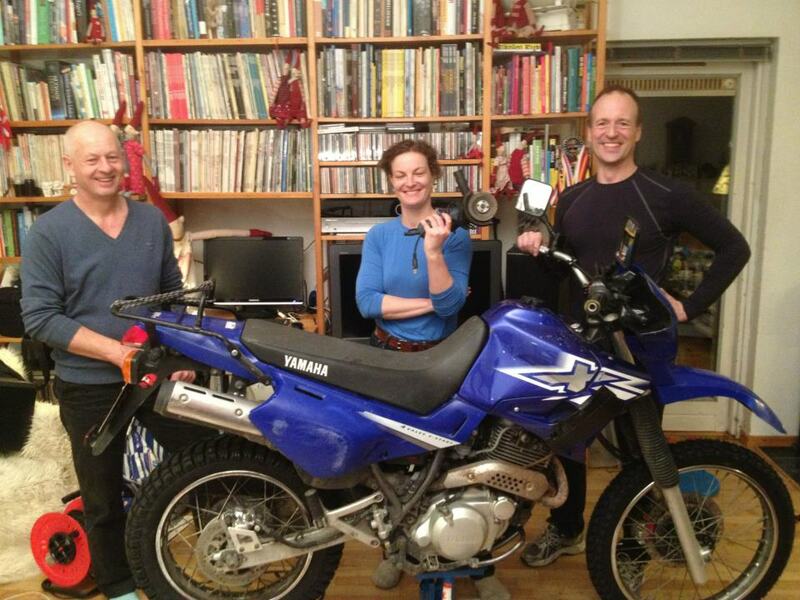 Above right Benny, Jacqueline and Tore are proudly presenting the Yamaha XT600 with new tires (it is still unclear to the rest of the group, why Jacqueline is holding that angle grinder! :-D). 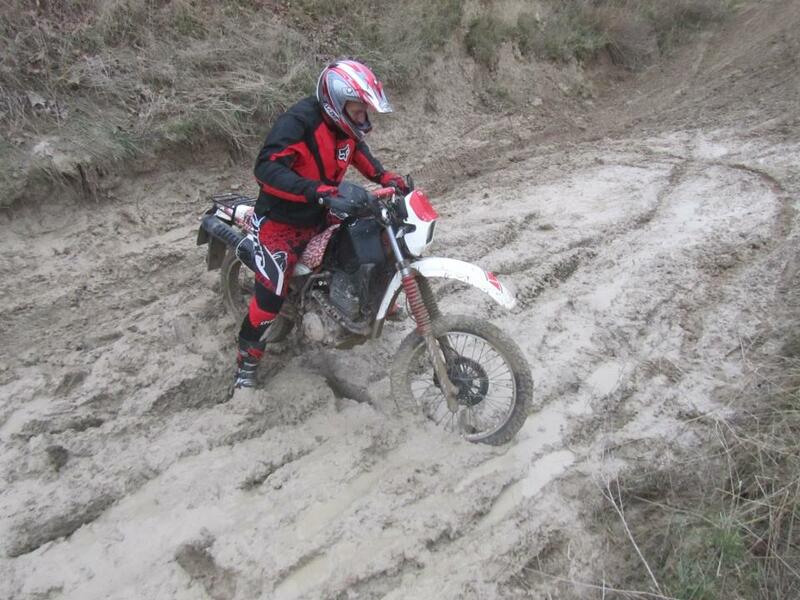 I will continue this story as our preparations come further, so return if you want to follow up.